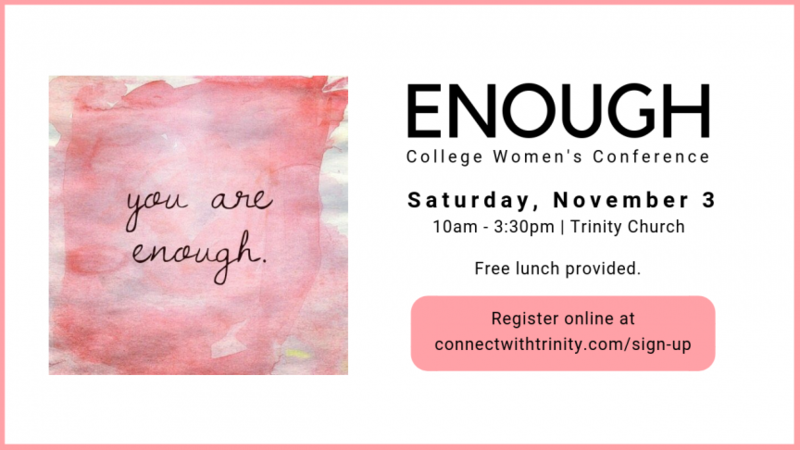 College-aged women: join us on Saturday, November 3 from 10am to 3:30pm for our college women’s conference “Enough”. We’ll focus on how our worth comes from Jesus alone and that He is enough. We’ll discuss true joy, living as God created us, and not letting the past define us. A free lunch is provided. To sign up, click HERE.